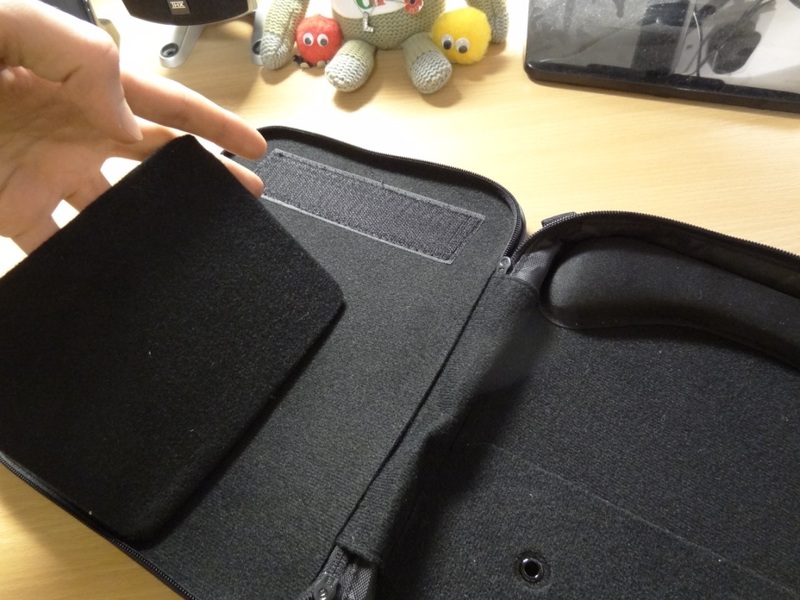 My initial impressions, alongside unboxing video can be found here. The packaging of the NCW500’s is quite impressive. 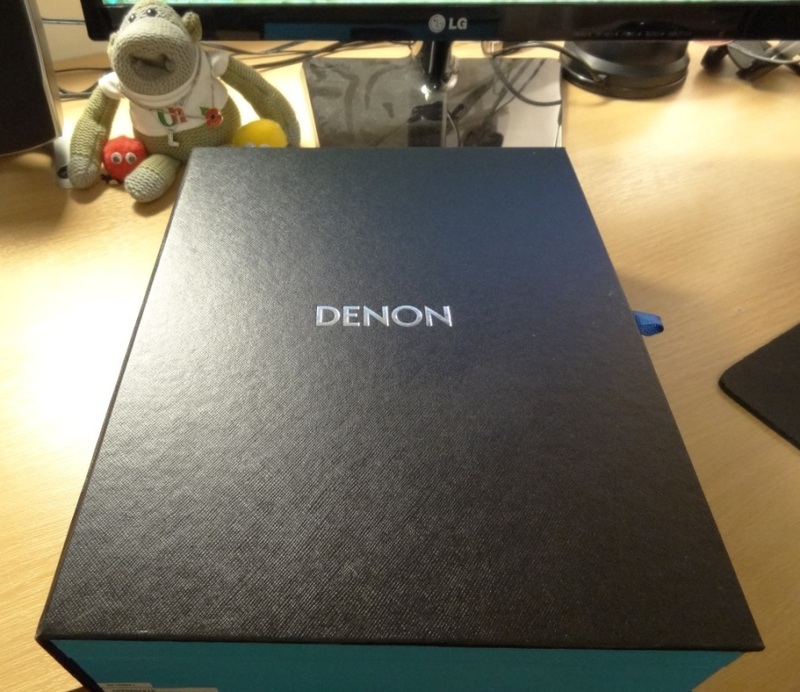 I love the new, fresh look that Denon have taken with their headphones, and I really love the packaging – so much so, that I have left the box opened, and put it on my shelf. Thus the overall presentation grabs full marks here. 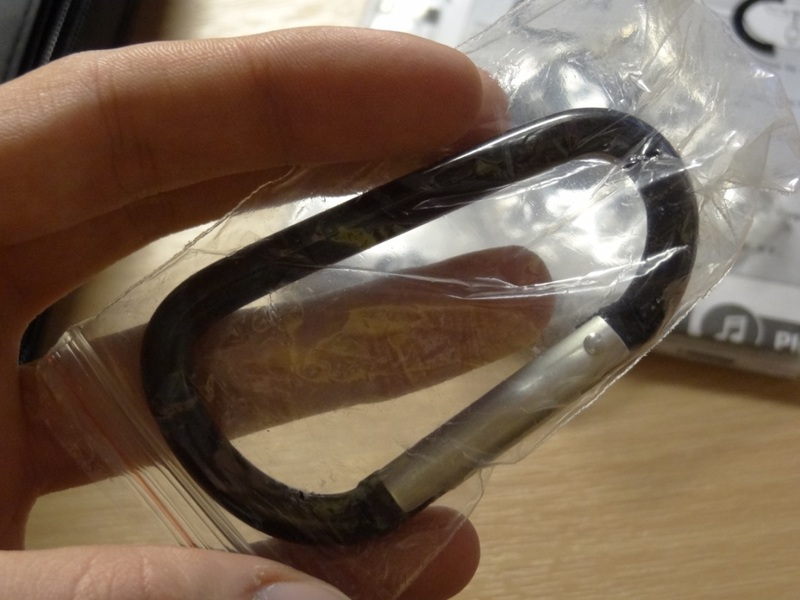 I found the inclusion of the Karabiner quite interesting, although understand that it could come in use, with certain applications of transportation. As for what I found was missing: I found the lack of a USB wall socket, a little disappointing, even though the USB cable, can be plugged into anything, including a USB wall charger. 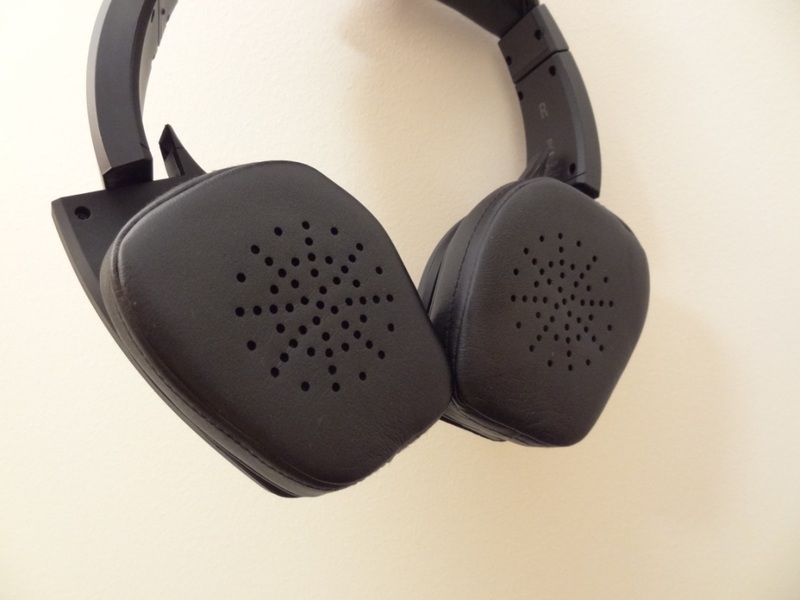 Overall, I was very impressed with the first impressions I had of these headphones, however I would have liked that little attention to detail to be added. 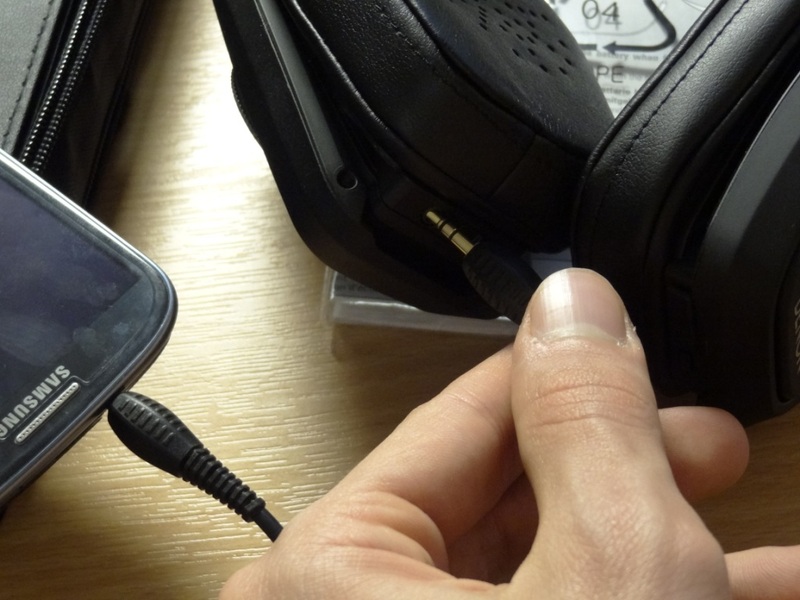 The build quality of any portable headphone has to be excellent, and there’s no disappointment with the NCW500’s. 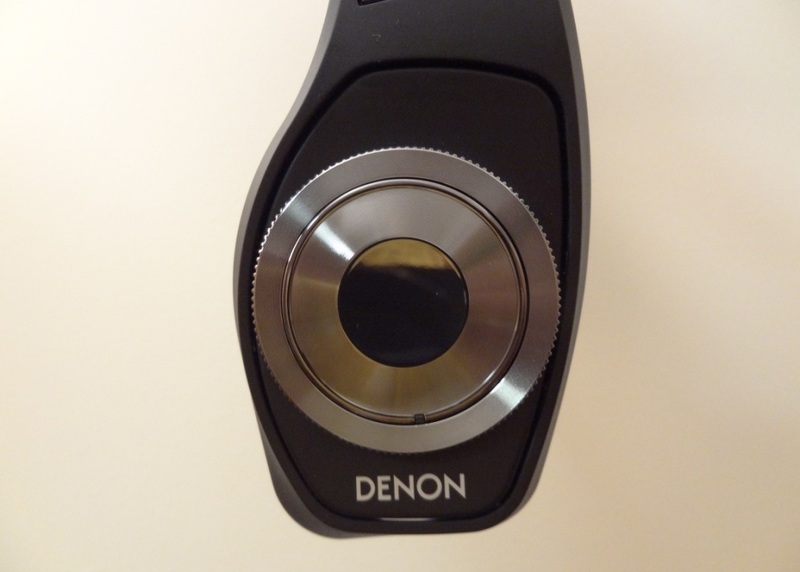 I really like the build quality the Denon’s offer, it is solid, good looking, practical and more so stylish. 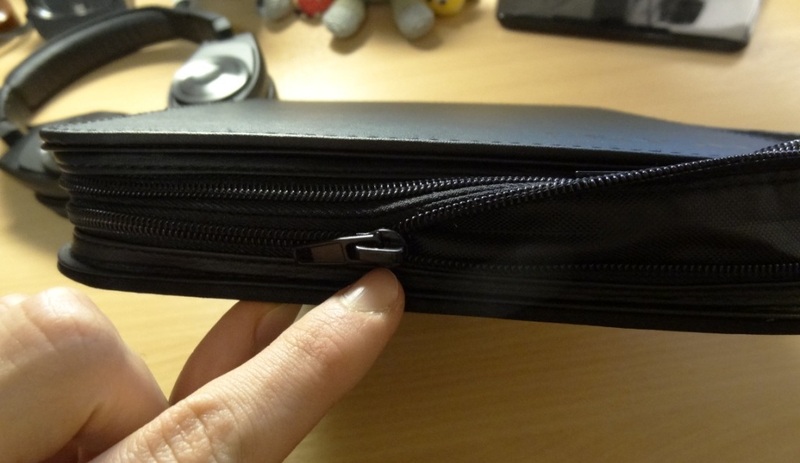 First and foremost about the build quality, is the reinforced headband assembly. 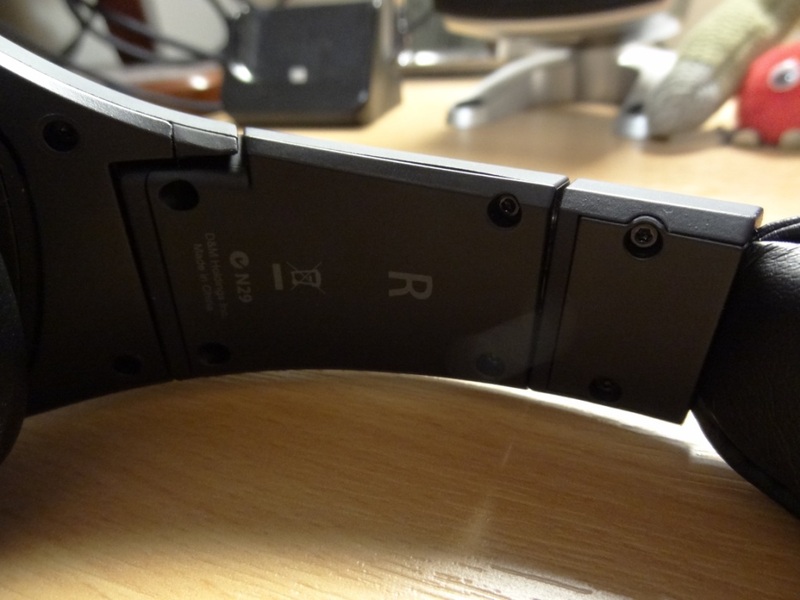 I really like how there is an extra metal piece holding the headband assembly together, which means that the build quality is improved, as it prevents the headphones from snapping or indeed becoming loose. 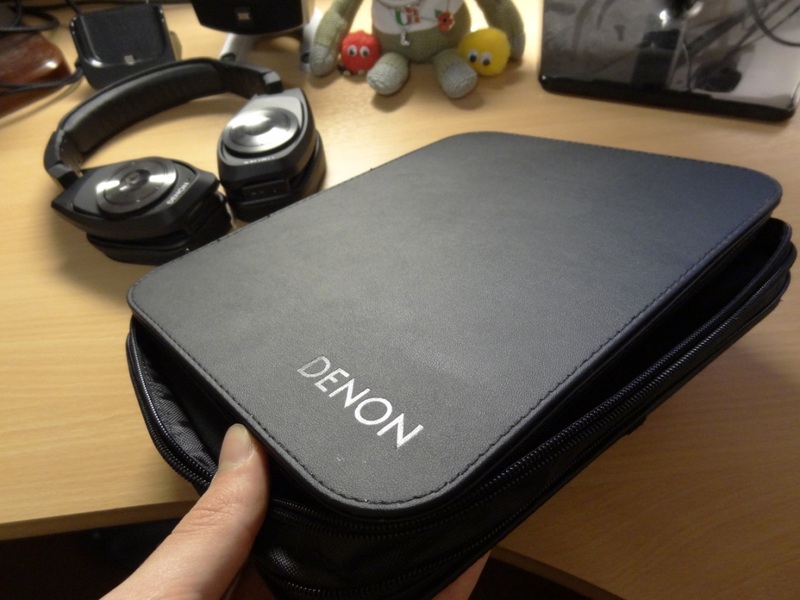 Something the old Denon line was known to go through, with a lot of wear and tear. 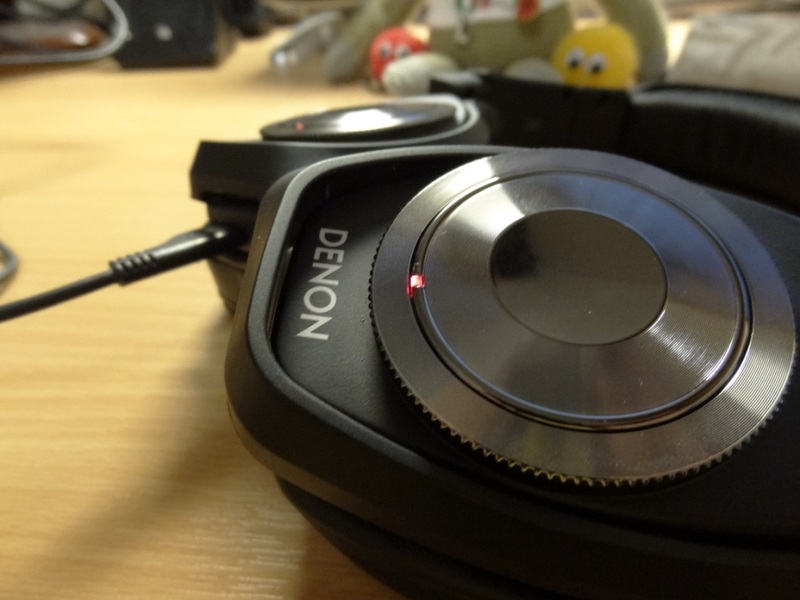 Furthermore on the headband assembly, I like how the Denon expansion has a clicking noise whilst adjusting it. It reminded me greatly of my Denon AH-D2000, however the NCW500’s one felt more sturdy and weren’t prone to accidentally being changed. 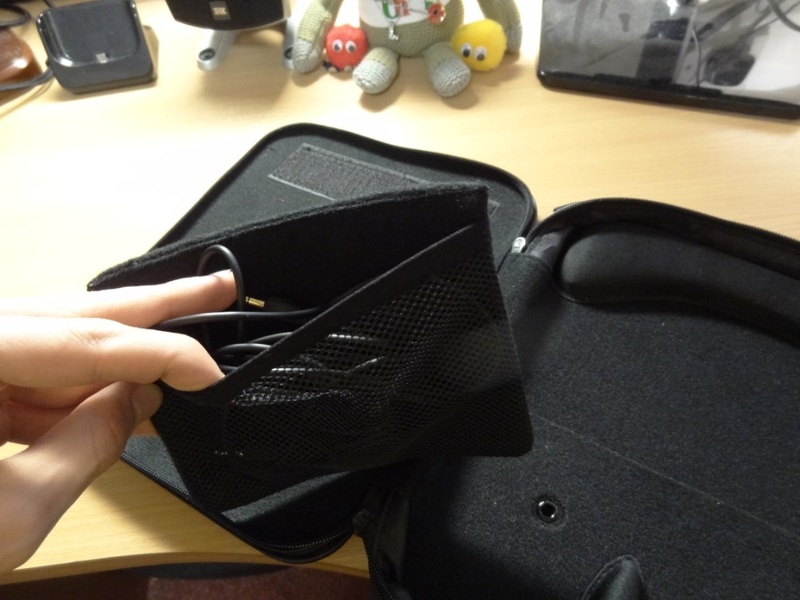 Moving on from the headband assembly, I like the soft padding that is used on both the ear pads and the headband which sits at the top of your head. I will talk about this in a bit more depth, in the comfort section below. The rotation of the driver cup, is also well done. 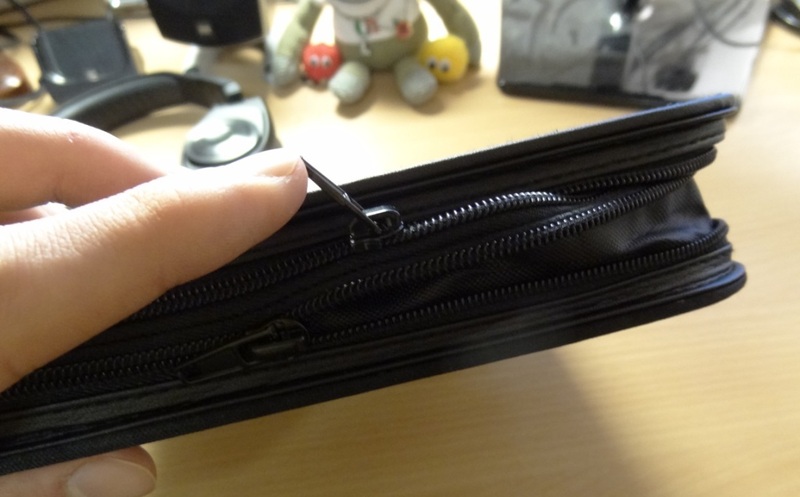 It is nice and sturdy and doesn’t feel flimsy at all. 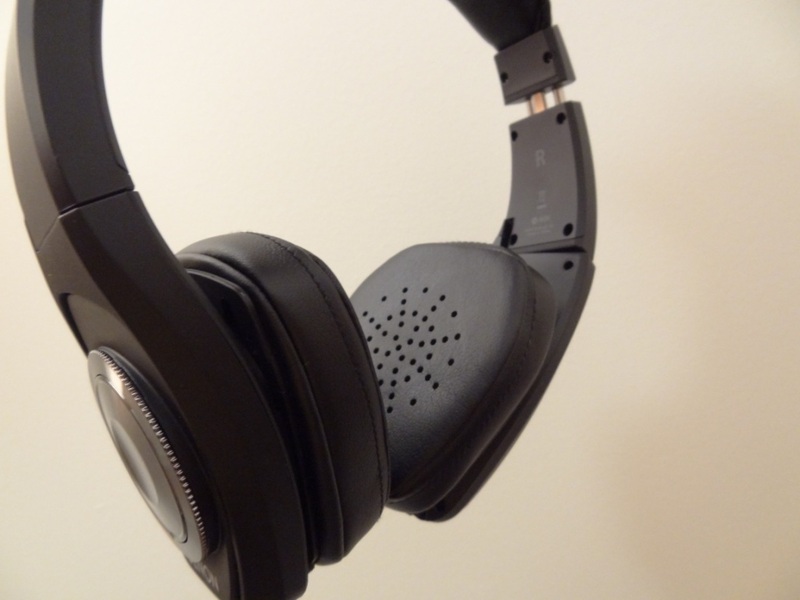 As these headphones are meant for portability, it is almost expected to have the drivers rotate, however the headphones don’t fold, unlike some portable headphones out there in the market. 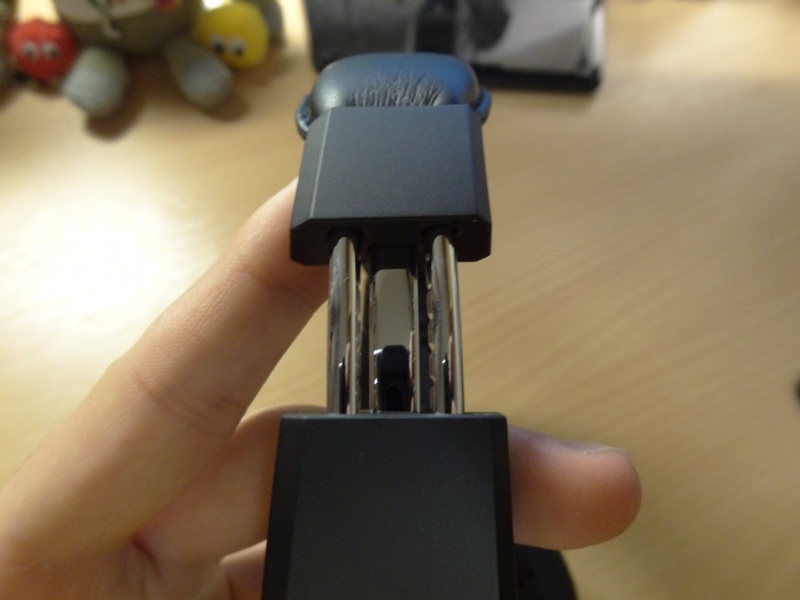 It should be noted though, that the drivers do tilt too, in order to fit on different shaped and sized heads. 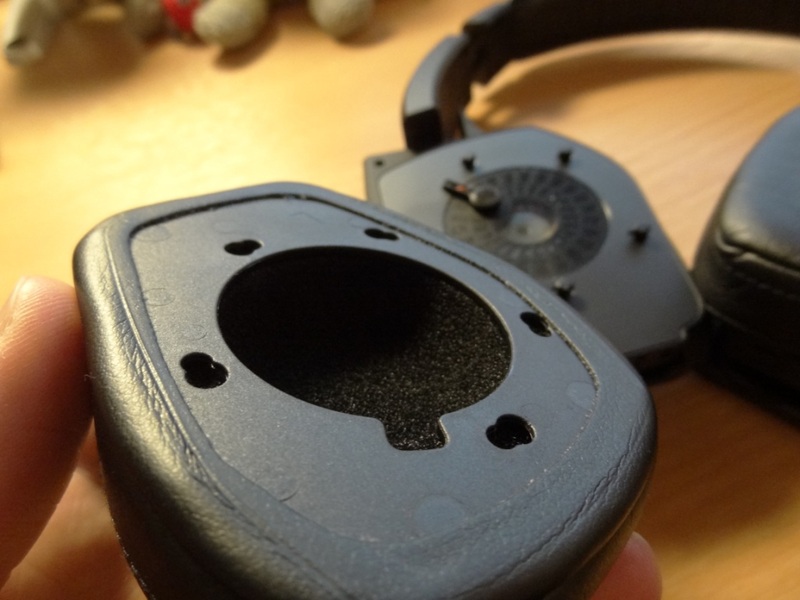 Regarding the rotation of the driver cup, the ear pads themselves, can also be removed by pressing on the ear pads, and rotating them – although apart from resetting the headphones, I don’t see why anyone would want to remove the ear pads, but nevertheless, it was a nice feature to have. 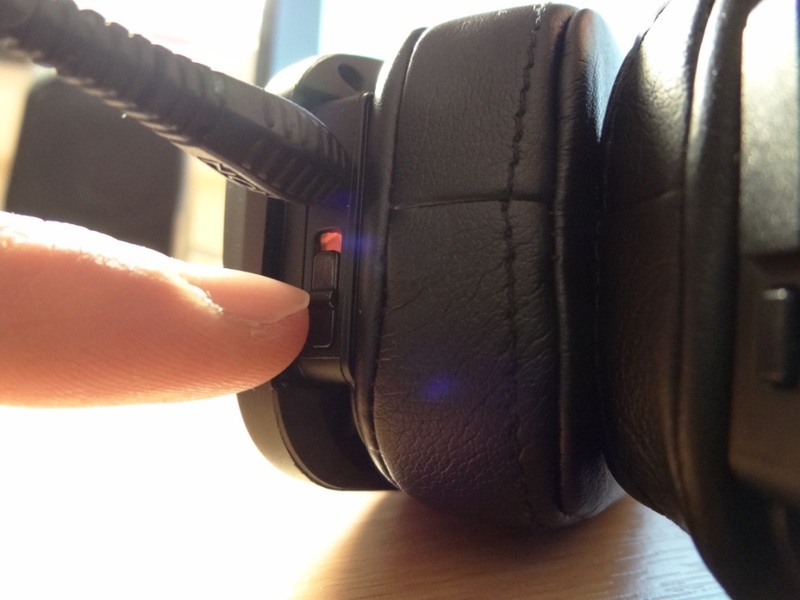 Within the headphones, on the sides, there is also the standard left and right indicator. 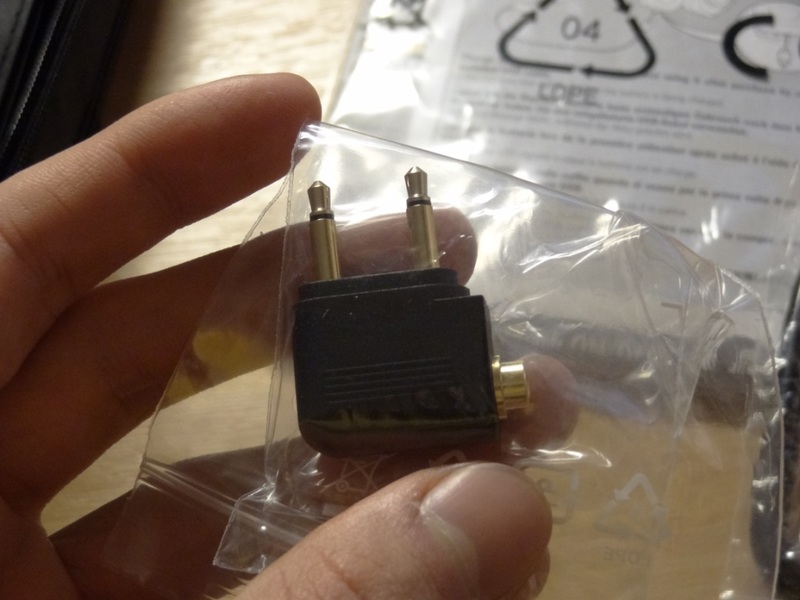 Finally, to conclude the build quality section, the wire that is provided is a normal gold plated 2.5mm to 3.5mm wire, that is around 1.3m long. 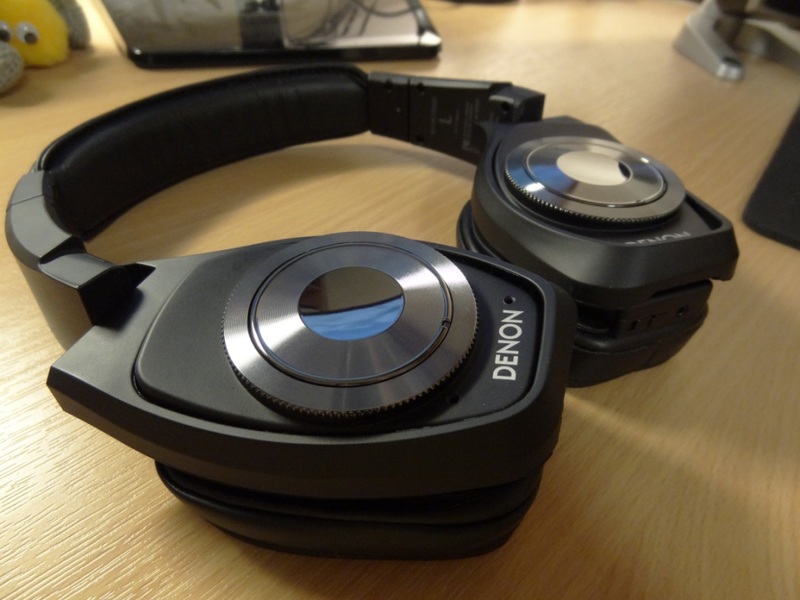 Overall, the build quality impressed me and I quite like the attention to detail that Denon have gone through. 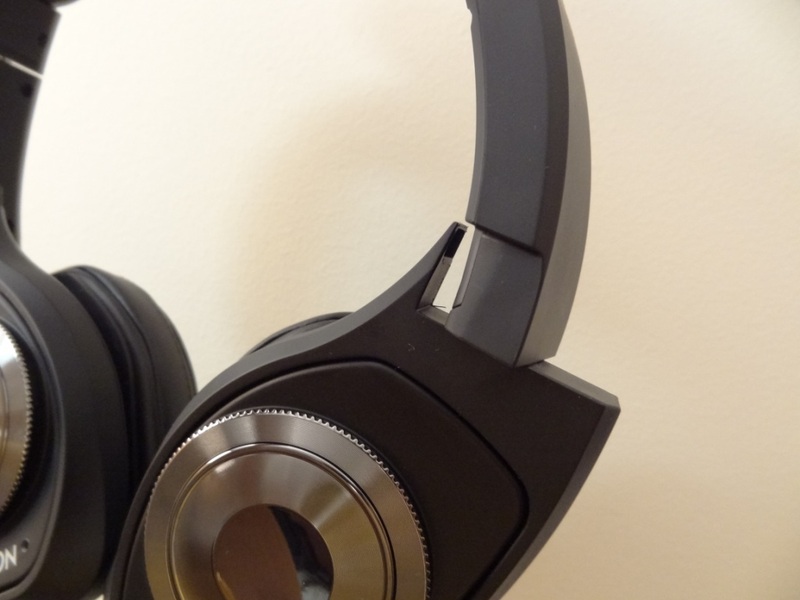 The look of the NCW500’s is really well done, although these headphones come in two different colours, my black pair have a nice metal-esk finish to them. 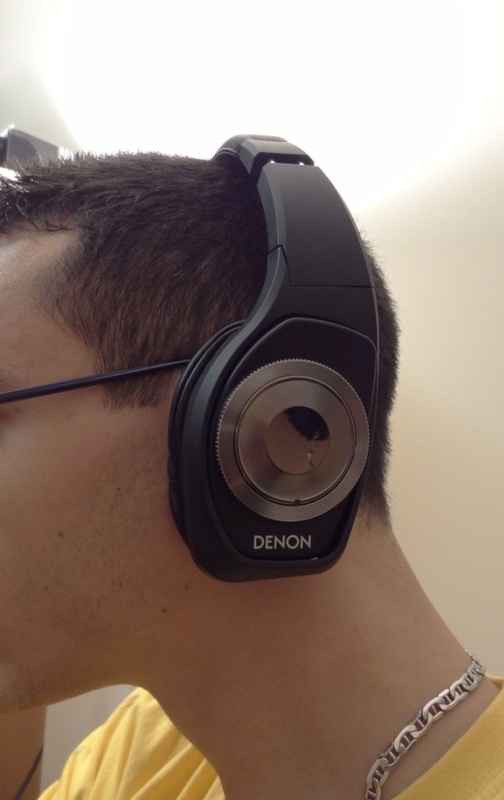 It is a nice fresh look by Denon, but yet still manages to remain professional and not look like a cheap pair of headphones. 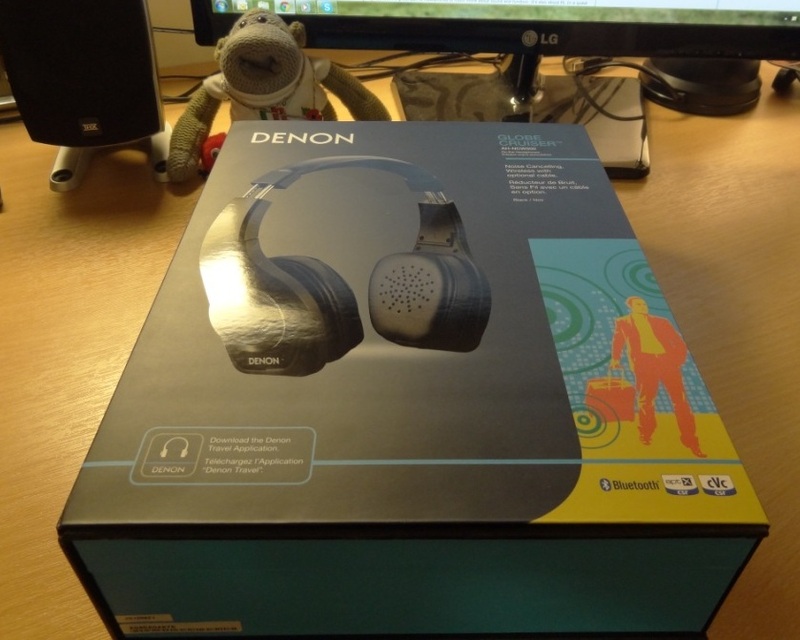 To me the picture of an executive in a plane, just as pictured on the Denon website, really depicts the person that will be wearing these. 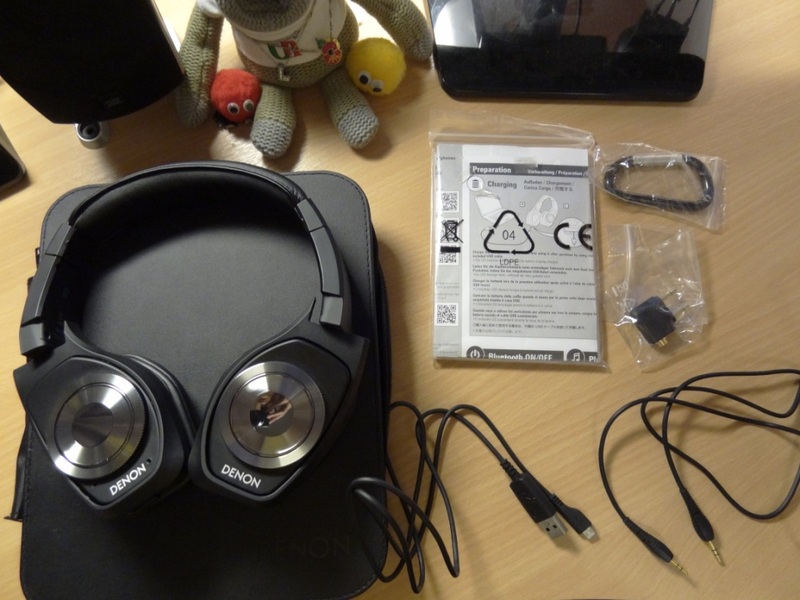 Overall, the look of these headphones is very nice, and more so really appeals to a broad range of people. 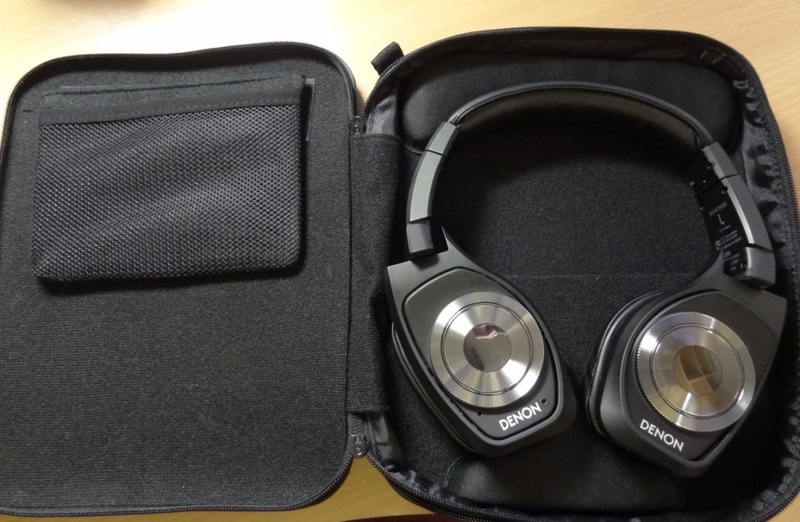 The isolation, is actually quite important for a portable pair of headphones, and I felt the isolation on the NCW500’s was as expected for an on-ear designed headphone – mediocre. The isolation didn’t come close to my D2000’s that I had, and those are even regarded as quite “loose fitting” headphones, that aren’t really supposed to isolate that much. 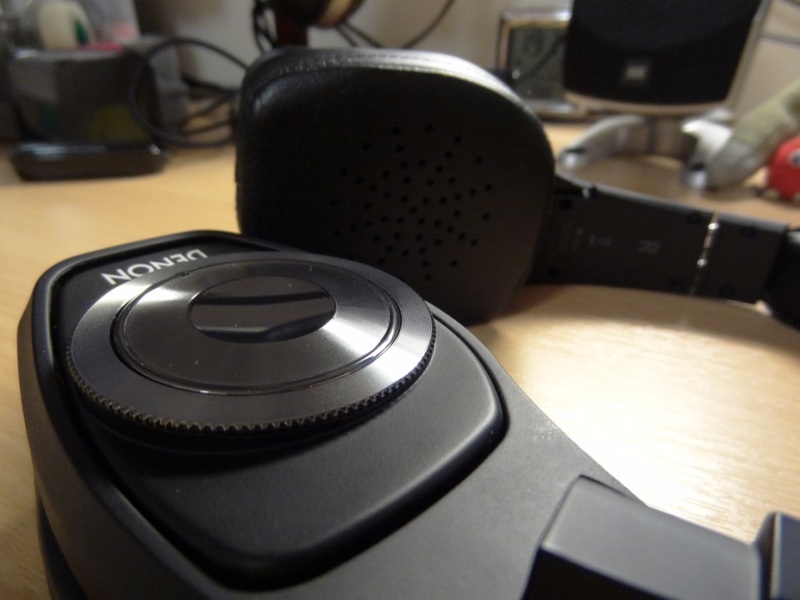 The isolation of the NCW500’s thus disappointed me as they weren’t really able to block out much noise, passively, let alone with active noise cancelling activated. The NCW500’s, as they are on-ear headphones, were comfortable to wear, however over long period of time, the pads would warm up your ears a bit too much, although that is expected with on-ear headphones, as that’s what they do. 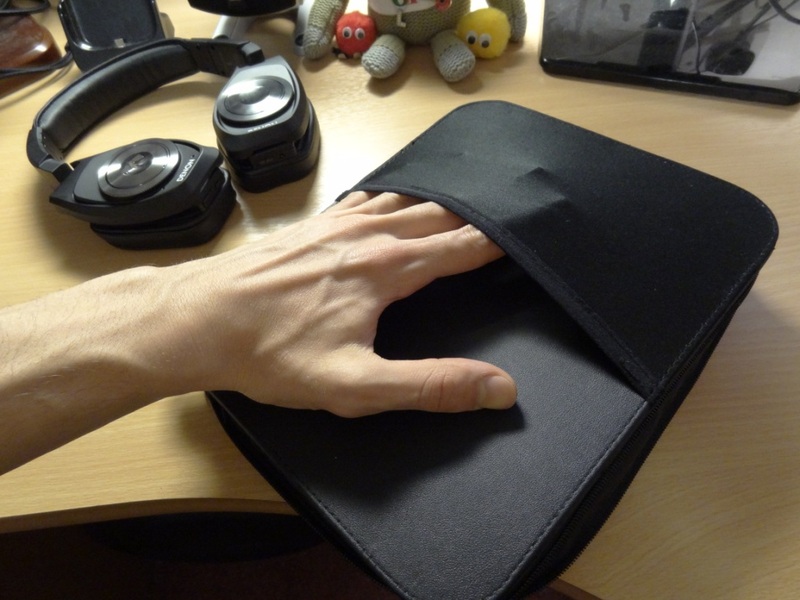 The soft pads, were the main talking point here, as they were just right, not too soft, nor too stiff, just perfect to get a nice comfortable fit. It should be noted that with glasses on, they did become uncomfortable after a while, but I’ve experienced this with most headphones, and even over-the-ear designed earphones. 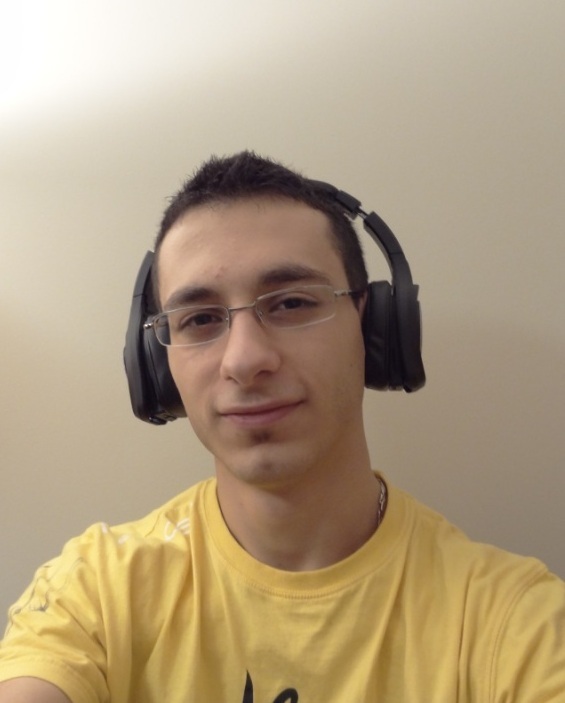 The headband, with its padding, also provided a nice comfortable fit, thus not putting any strain on your ears. 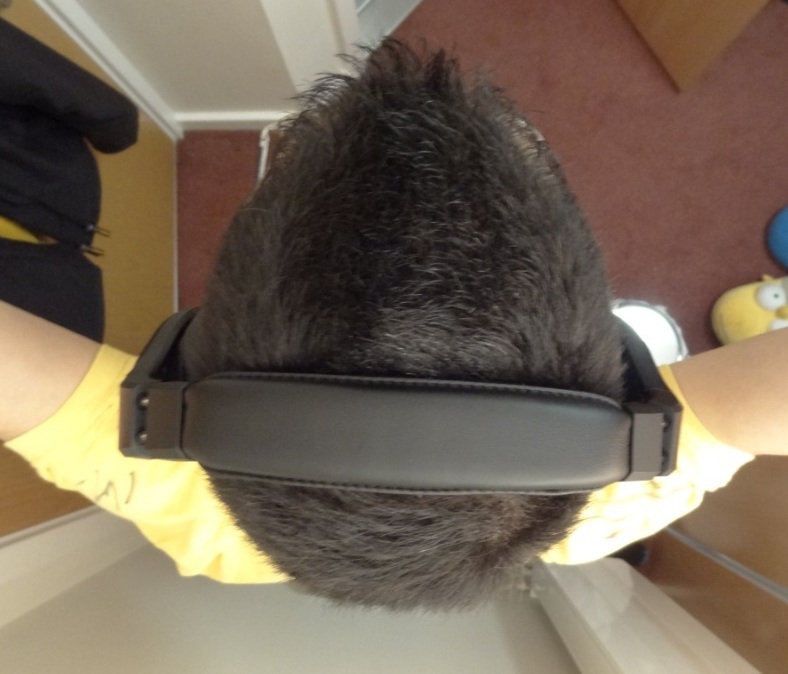 I should mention that these headphones are also not super-light, and thus feel sturdy on your head. 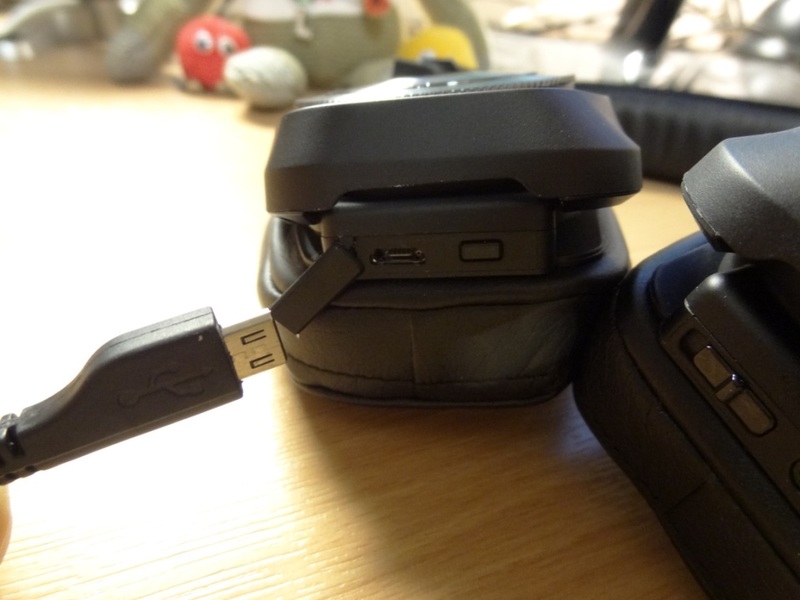 I would also feel comfortable to run with them on, as the clamp on these headphones is a bit more than the D2000’s but not to the Beats by Dre type clamp, which in my opinion is way too much. 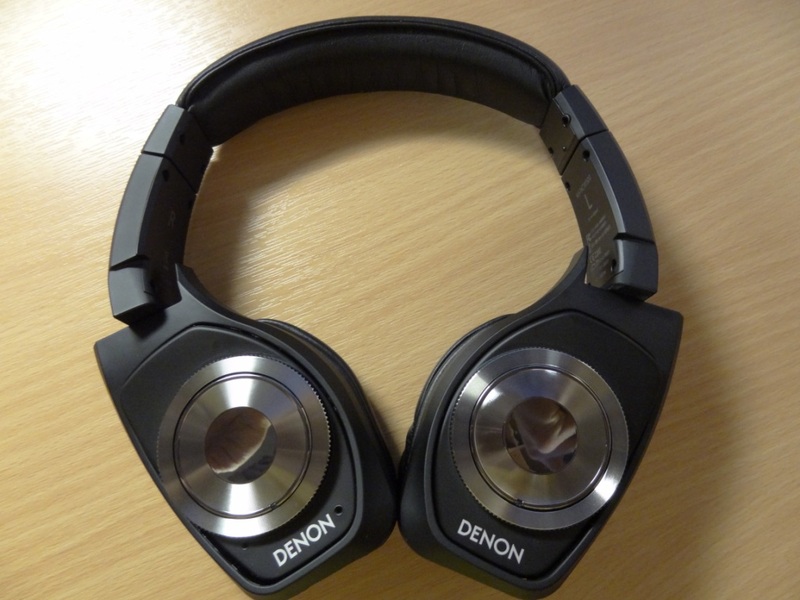 Before getting into the functionalities of the Denon’s – there’s a very useful and good user manual, that can be viewed online, via Denon’s official website. The reason I am pointing this out is as the rest of this section, will make more sense, for someone who doesn’t have the headphones physically in front of them. There are a whole bunch of functionalities that the AH-NCW500’s boast, mainly its Bluetooth APT-X technology, which allows wireless listening at very long ranges. I found that the range was around 10-15m between my Samsung Galaxy S III and the NCW500’s. This was without any walls interfering, or any sort of object that would interfere with the signal. As I started walking past 15m, the headphones started cutting out. Behind walls, the headphones also performed surprisingly well, especially when I walked upstairs at home, and my S3 was left downstairs. 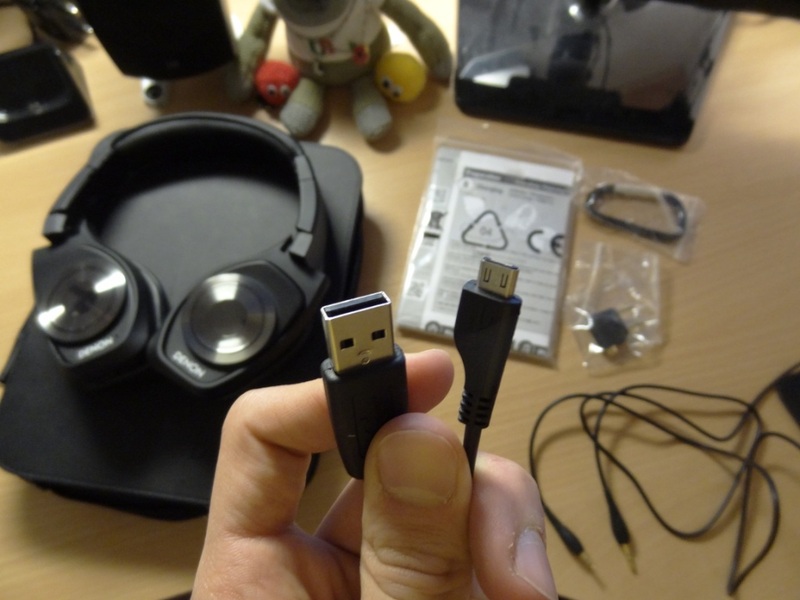 The connectivity, is thus top notch, and I really love how far and well these headphones stretched. Now unto the noise cancelling of the headphones. I found the noise cancelling, a bit like the isolation – mediocre. It didn’t really impress me, when one of the major selling points of these headphones is that it is a noise cancelling headphone. I should mention, before getting into this, that the noise cancelling did affect sound quality, by artificially boosting the mids, and drowning the bass a little bit. 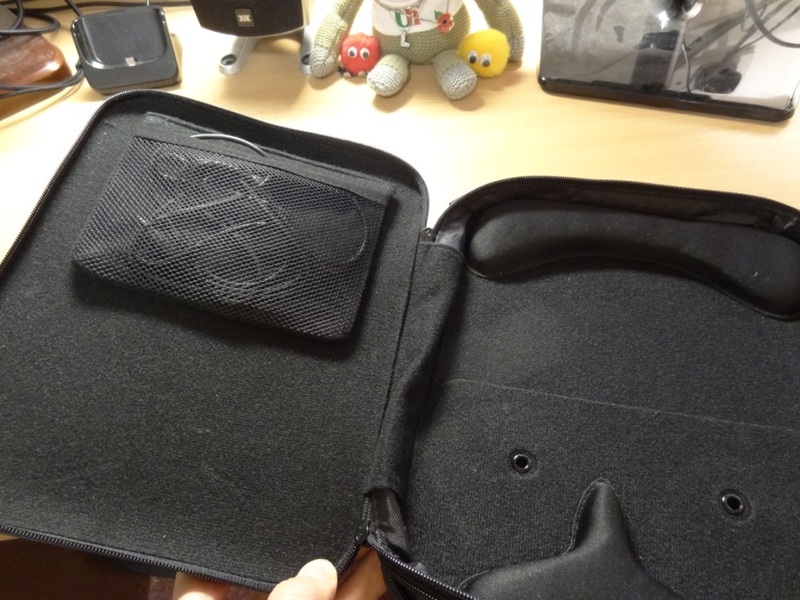 The sound quality thus was negatively impacted, as expected, with noise cancelling enabled. 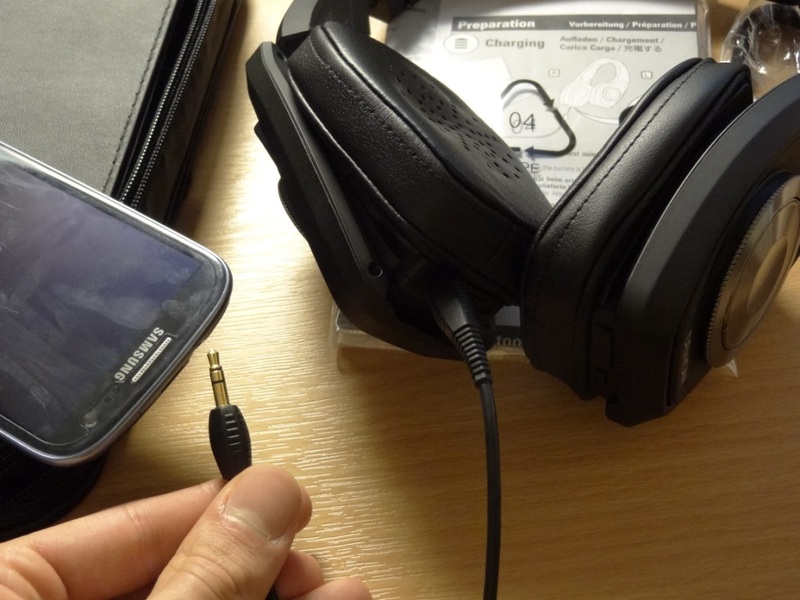 Furthermore, when the noise cancelling feature was enabled, it could still be used without being used via Bluetooth, thus via a straight wired connection noise cancelling would still be functioning. 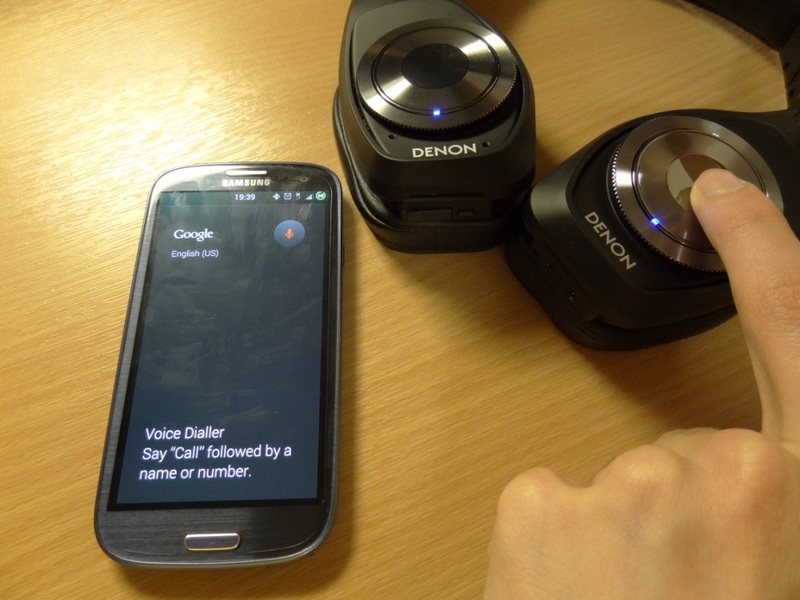 Moving on from the noise cancelling, to the Bluetooth features offered by the phone – I should note that these features are not made available whilst the phone is connected via the 2.5mm to 3.5mm wire. On the right side, there is a control wheel, where you can control the volume of the headphones, I felt that the control wheel was a little hard to rotate and/or hold to change volume. 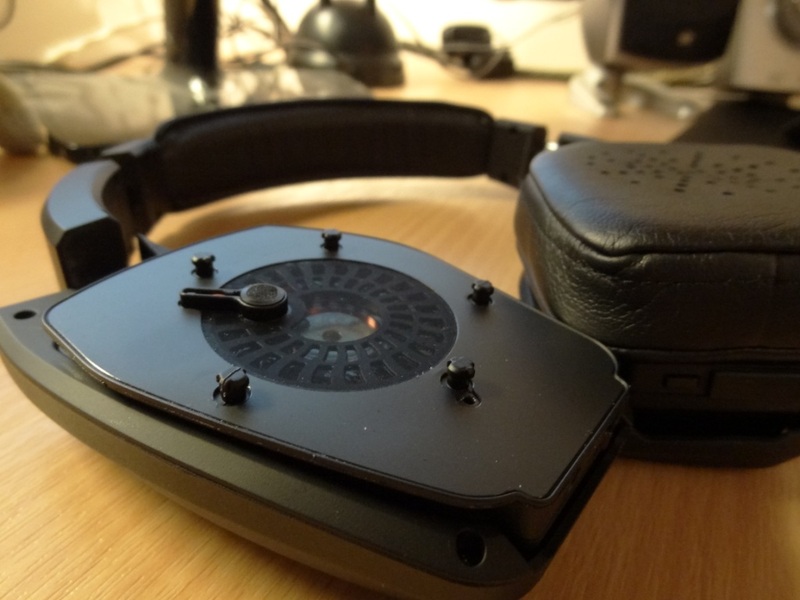 As it is quite a flush looking headphone, the actual control wheel, as it has a small surface area was thus hard to adjust. The control wheel’s speed of volume increase was quite slow, and gradual, which can be seen as a good, but also a bad thing – as it takes a lot of time for it to go from zero to hero. I should also mention that when you reach the max volume, that the headphone can offer, the headphone will make a slow beeping sound, to notify you that you have reached the max volume attainable. The control wheel, also has a button function on it. When the button is clicked once, it pauses/resumes music. When the button is double tapped, it skips to the next track. When the button is triple tapped, it goes back to the previous track. Finally when clicked one and held down, it will fast forward and when clicked twice and held down it will rewind. 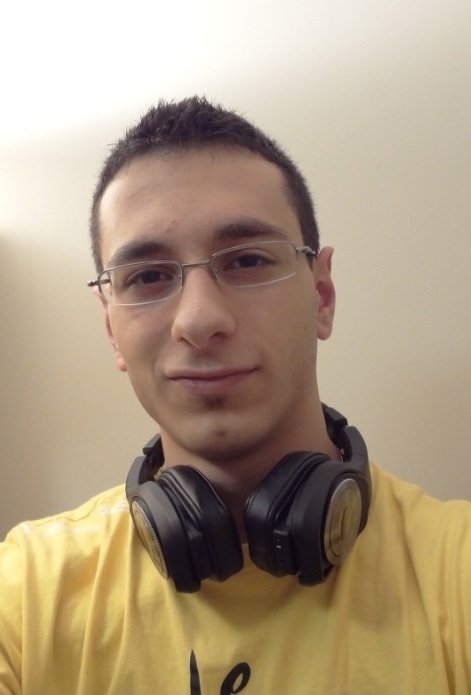 I found these features, really useful and more so very responsive, at all ranges. On the other side of the headphones, there is another control wheel, however this on doesn’t move unlike its right brother. This control wheel is just for show, however there is a button on it too. This button, is for calling features. I did find the calling features pretty easy to use, especially for picking up calls, talking, and ending calls. However with Jelly Bean 4.1.2 on my S3, I found the “make a call” function not working – I can’t really blame the headphones for that, as it could well be due to my phone in that respect. I thus haven’t taken that into account. 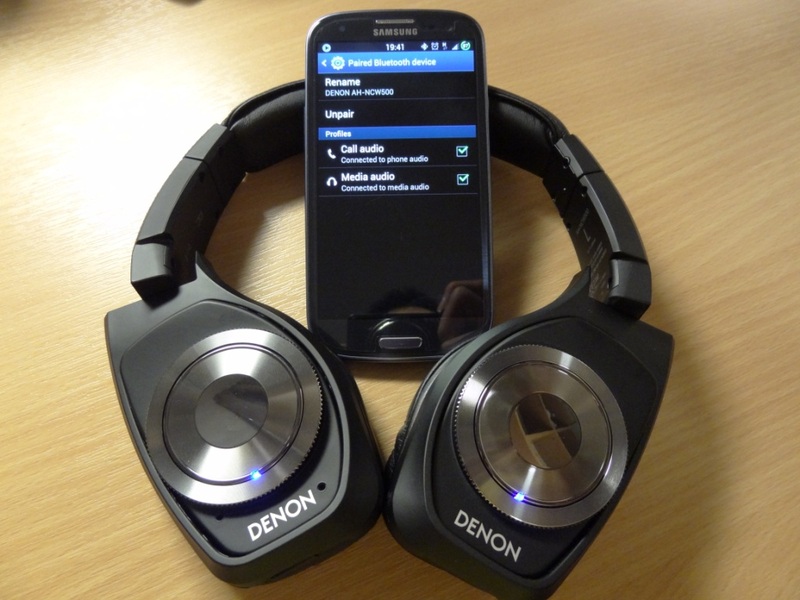 Overall the functionalities, are very good, and I really enjoyed using these headphones, especially via Bluetooth. 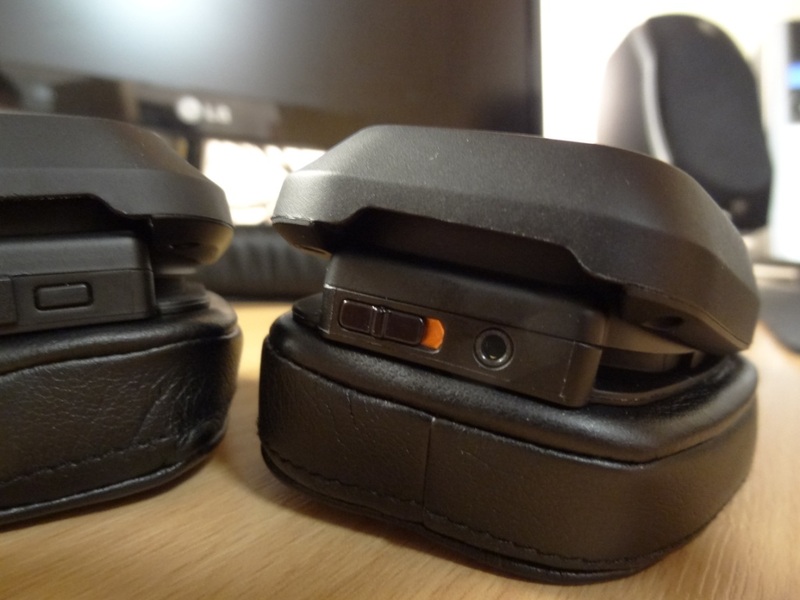 I should also mention the battery life, seeing as these are wireless headphones, they rely on an internal battery, that takes around 2hrs or so to charge. The battery life really impressed me. 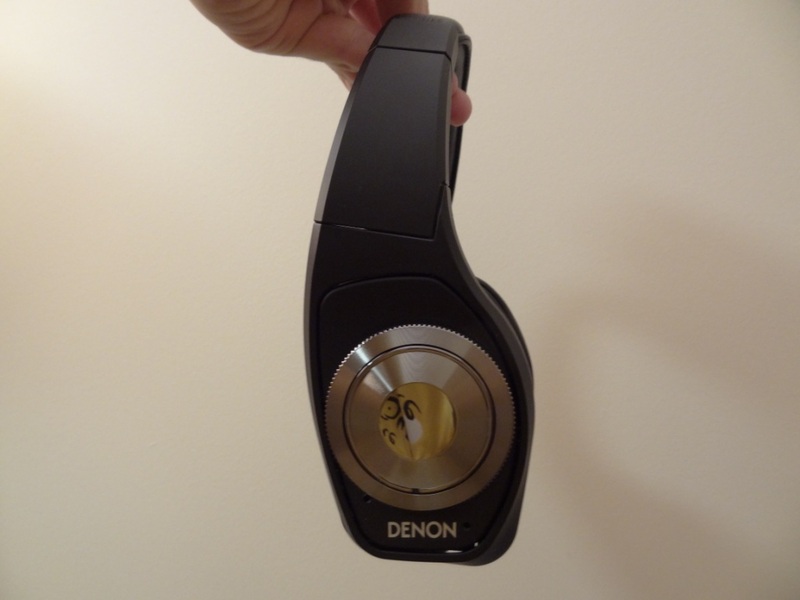 It in fact beat what Denon had on their site. 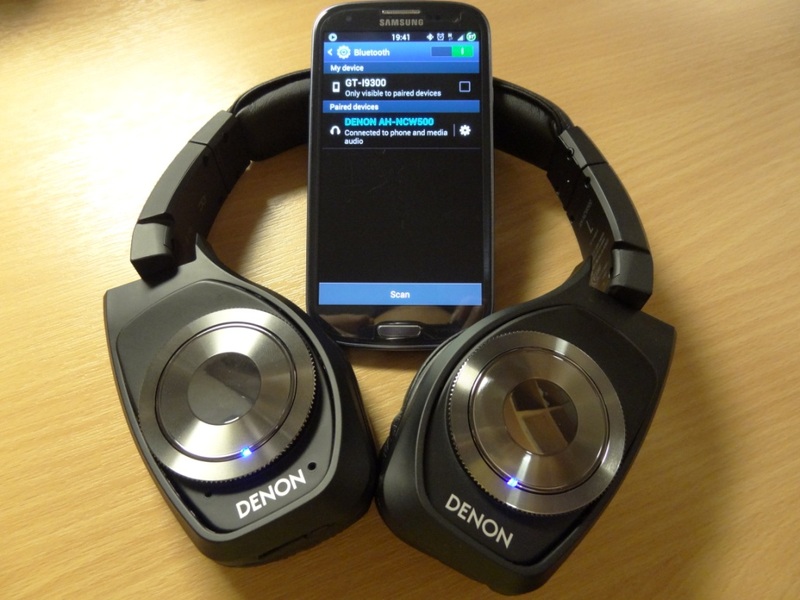 As we can see the noise cancelling feature did drain a bit of battery, but still, both figures are above the 10hrs of playback that Denon state. The sound quality of the NCW500’s was really the talking point for me, whilst I was doing my listening. I did all my analysis with noise cancelling disabled, and it being wired. I should say that I couldn’t hear a difference between the Bluetooth and a wired connection. In fact, if anything, I preferred using these over Bluetooth, as that’s what they were designed for, wireless on-the-go headphones. My sound quality rating, is really derived mainly from the price of these headphones. At £400, these headphones are not a headphone that your average teenager would buy, that said I don’t think it is aimed at them either. 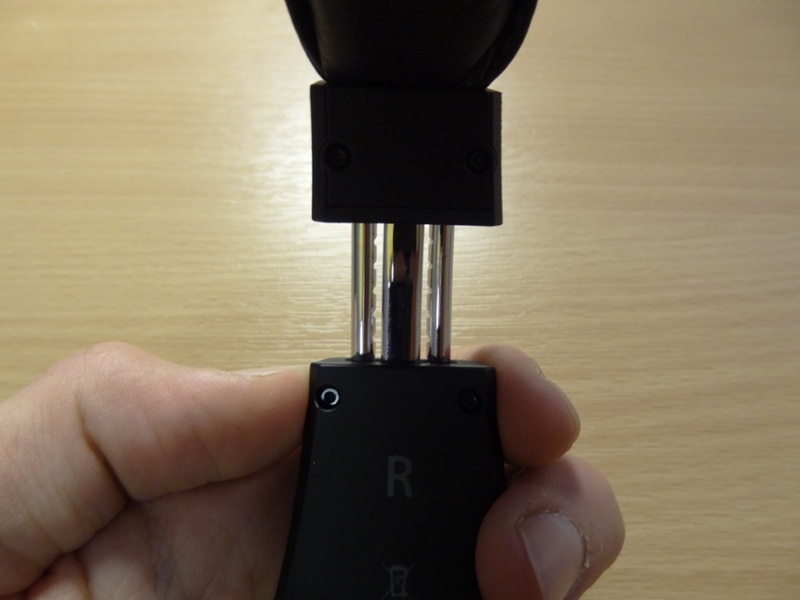 I just feel that the hefty price tag of £400, has to really produce an exceptional sound quality. Especially seeing as my D2000’s, which I know are in a completely different class of headphones only cost £180 and with modifications £270. Thus, for me the £400 price tag, is in-line with some of the top universal fitting earphones, which are very much portable, and also in-line, with some of the more premium-class headphones. Of course, these are wireless, and have “active noise cancelling”, but that isn’t an excuse for it to perform sub-par in the sound quality section. I am thus judging the sound quality of these, as if they were any other headphone out there. 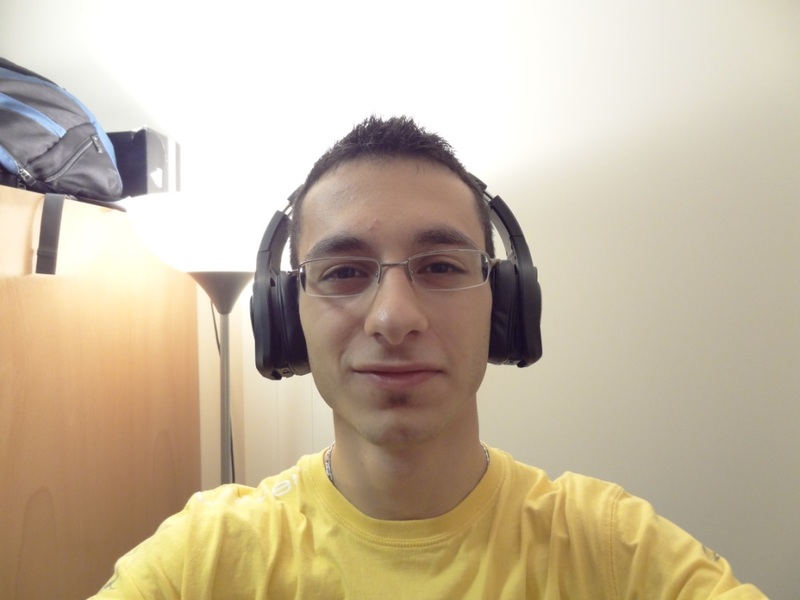 I honestly felt that the sound quality of the NCW500’s was very V shaped, with a HUGE emphasis on the bass. 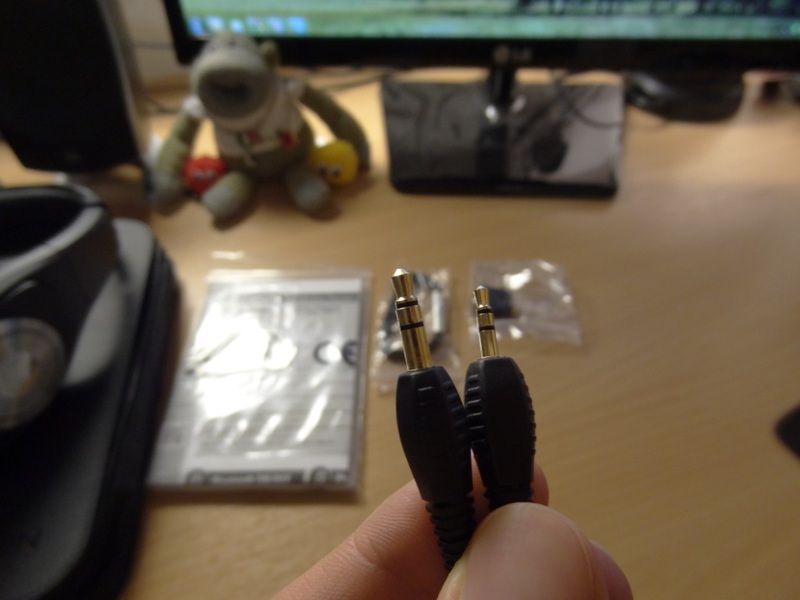 I think that’s where these headphone’s flaws really lie into. The bass of the NCW500’s is overwhelming, and coming from a basshead, like myself, that’s saying something. The bass really is really pounding, leaks into the mids, and makes un-bassy tracks, unnaturally bassy – that said if you are a true basshead, you’ll love these. To give you an idea of the sound quality, and my take on these, they sounded a lot like the Sony MD-XB700’s but with better highs. 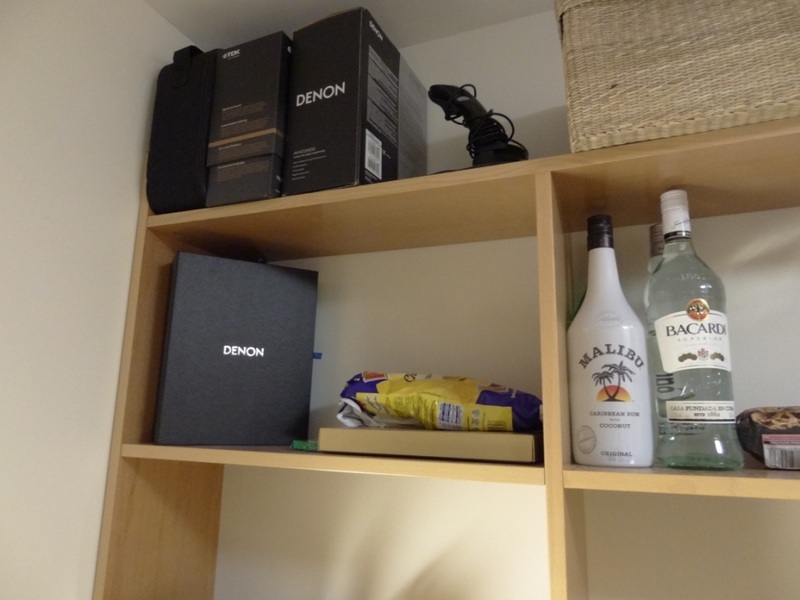 Note how I didn’t mention mids; the mids are very much hit by the sheer amounts of bass that the Denon’s offer. Getting a bit more into it, the lows were the main and first thing I heard on the NCW500’s. At first I thought it was due to the lack of burn-in, however with almost 100 hours on them, nothing has really changed in their sound. The bass is still very strong, very overwhelming, but also not that precise. It feels as if the bass is too overdone, meaning at times there isn’t really much definition in the bass quality. In essence more emphasis on bass quantity rather than quality – I know that the D2/5000’s are somewhat bassy, especially in comparison to the Sennheiser range, but the old range, really focused on quality, something I didn’t find in my previous set of XB700’s nor in this new set of NCW500’s. Thus the bass, when carefully listened to and analysed, is somewhat rolled off, that said, I am being very picky here, and they do perform very well in the bass department. As mentioned above, the mids took a huge hit, and in fact sounded a quite veiled, when compared to its older brother, the D2000’s. When I put my D2000’s back on, whilst comparing the two, I could immediately hear a huge missing portion of the songs, where the mids just weren’t there in the NCW500’s, but came alive in the D2000’s. If there was less bass emphasis in the NCW500’s, I feel the mids would have sounded a lot better, and I’m not quite sure why Denon thought of having very basshead-esk headphones, especially seeing as these headphones are clearly not aimed at bassheads, which normally are teens, or as I like to call them, the Beats crowd – One could almost say that solely the bass, from the Beats Pro by Dre, had a similar impact on the mids, as did the NCW500’s. The highs on the other hand, were lovely, well extended, not overly bright, and very crisp, despite the high amounts of bass. 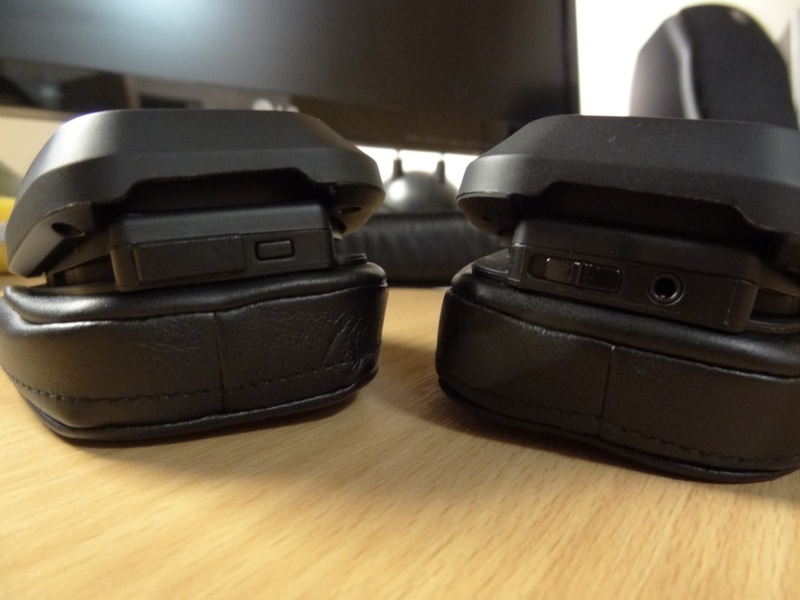 The soundstage, were as expected from an on-ear headphone. 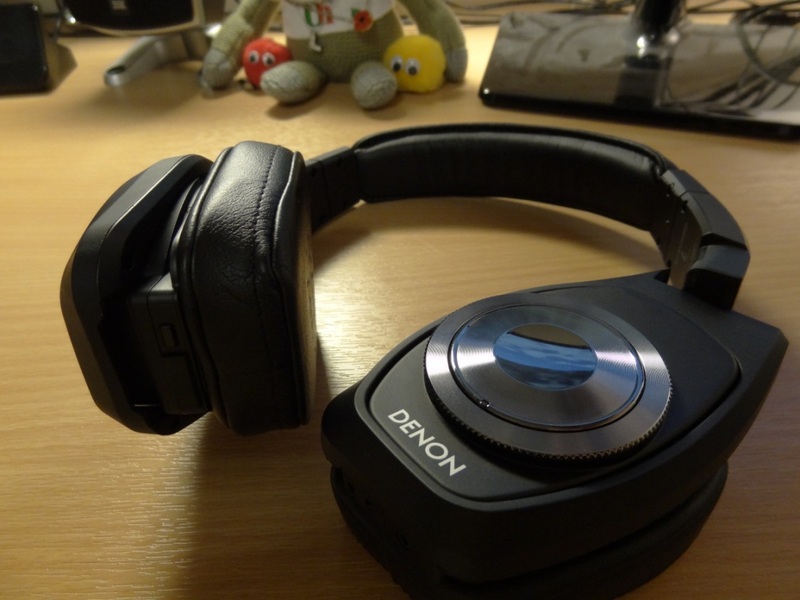 There isn’t much depth in the headphones, nor much space, but the Denon’s do cope well. However I felt that these felt like I was listening quite closely to the music, and thus felt the soundstage wasn’t deep or wide, in fact quite the opposite by being closed and narrow. 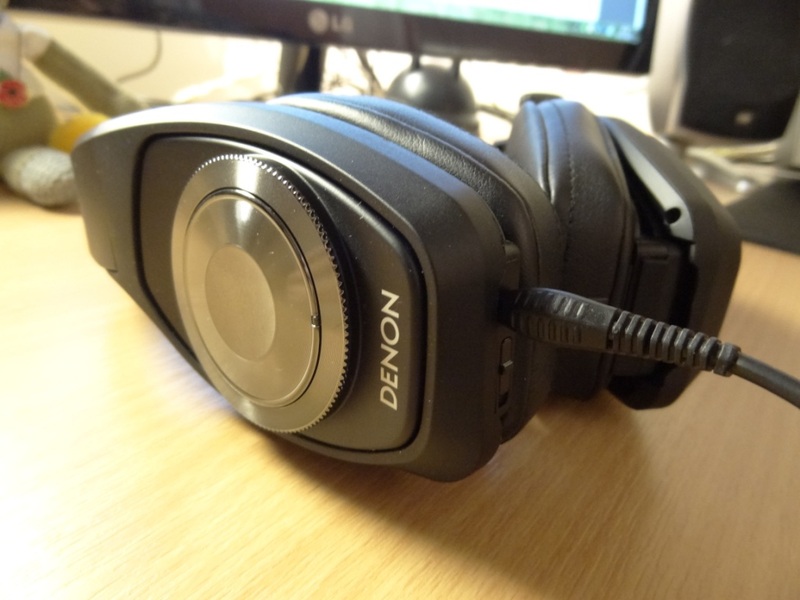 Overall, the Denon AH-NCW500’s did impress me with its functionalities and overall package, however where it really counted, with the noise cancelling and sound quality, especially at its premium price of £400, I felt let down by Denon’s offering. Don’t get me wrong, these headphones aren’t bad in sound quality by any means, its just that at this price, one expects almost the very best a headphone can offer, and of course Bluetooth technology bumps the price of these headphones, but regardless, I feel that these could have performed better. A fun experience and a fun headphone to own, but not a headphone I would turn to, to really enjoy my music. 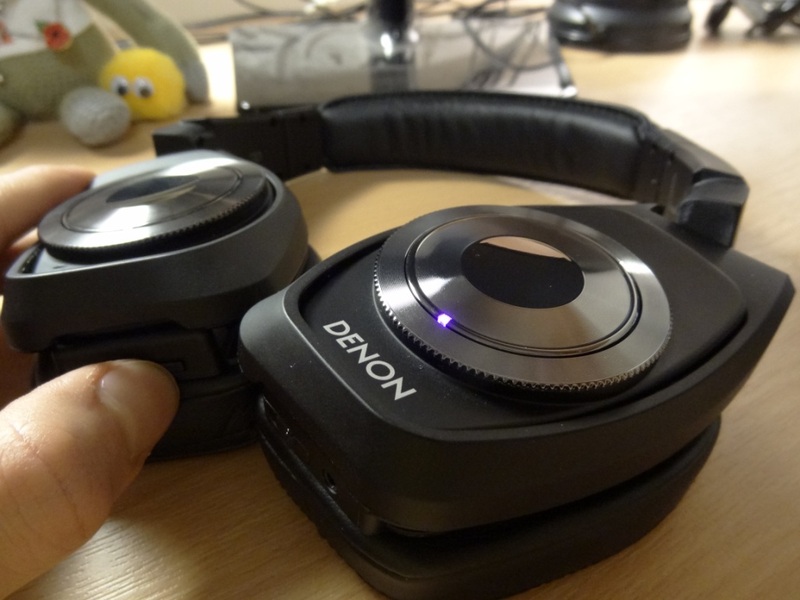 Those headphones are still the Denon AH-D2000’s and more so, on the go, would opt for earphones, which don’t compromise quality, and have excellent passive noise cancelling. 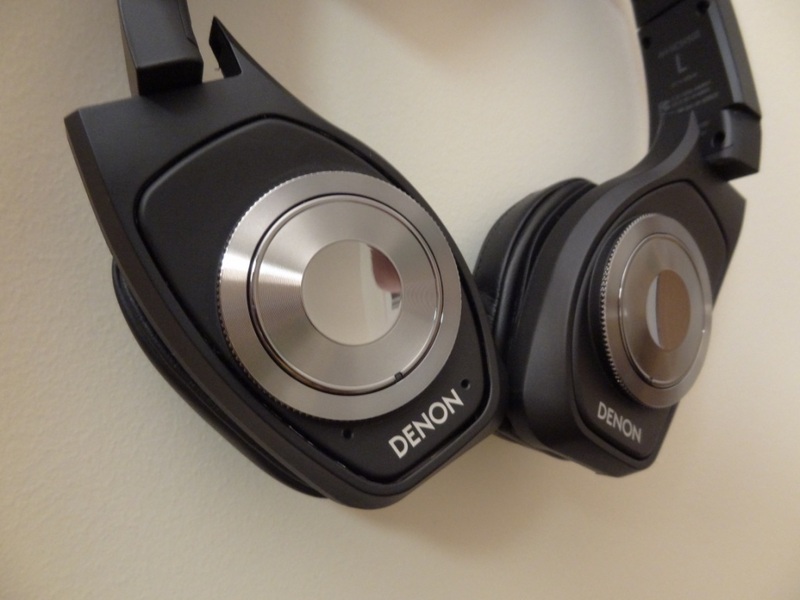 Even Denon’s own earphones, the AH-C400’s are an excellent set of on-the-go set of earphones to carry around. Hope you enjoyed my review! 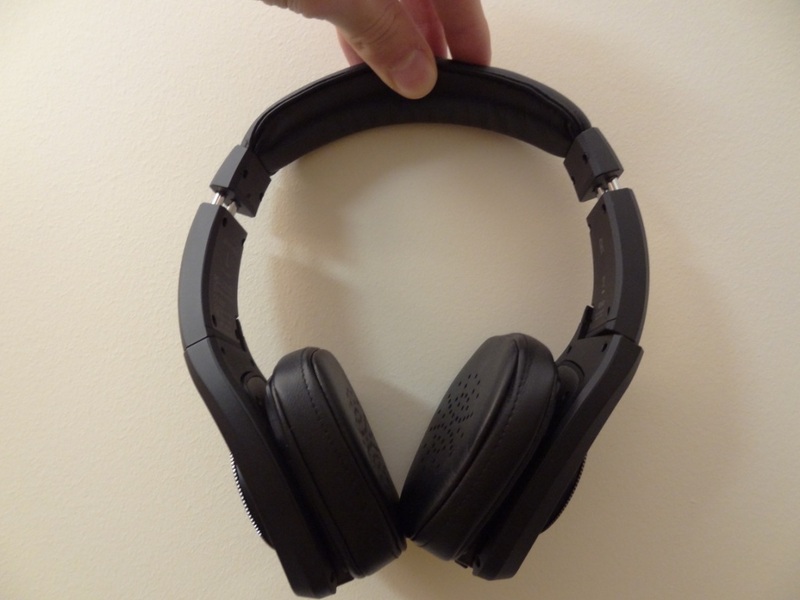 thanks for this review.should have checked this out before i bought them.the noise cancelling is ,well almost non existant.so disappointed.Otherwise i like them ,but i bought them as i travel a lot and the noise cancelling was essential.the only good thing was i only paid £190.certainly not worth more. 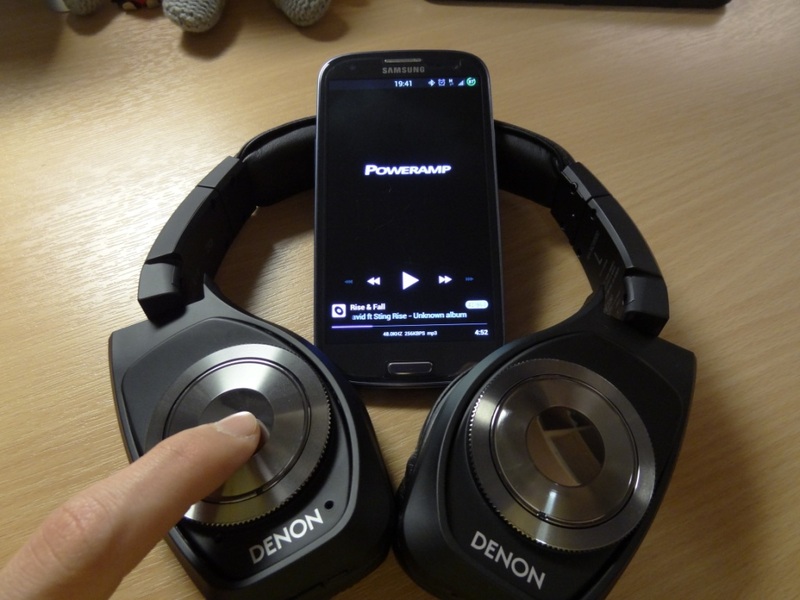 do you think there may be a software update for these or some modification that denon would make? Thanks for your comments – and totally agree. 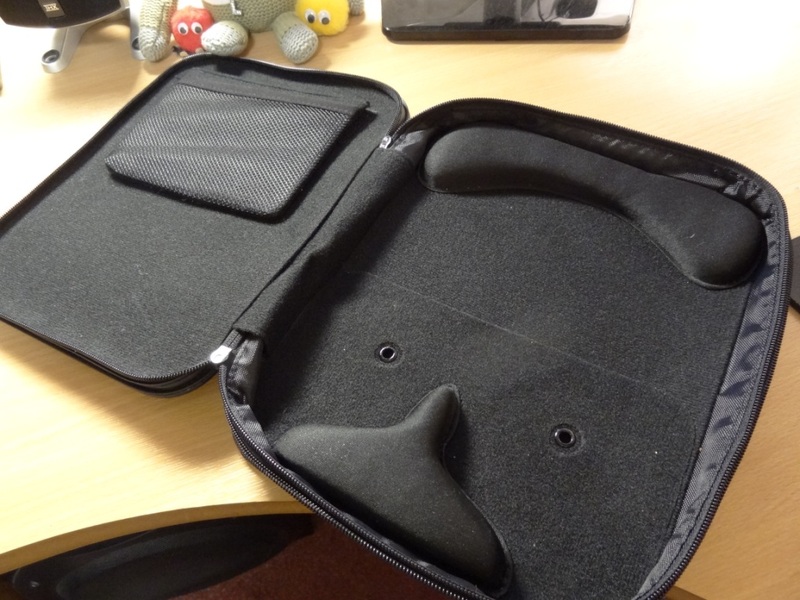 Good buy at £190 – although I still expected more even at that price range. 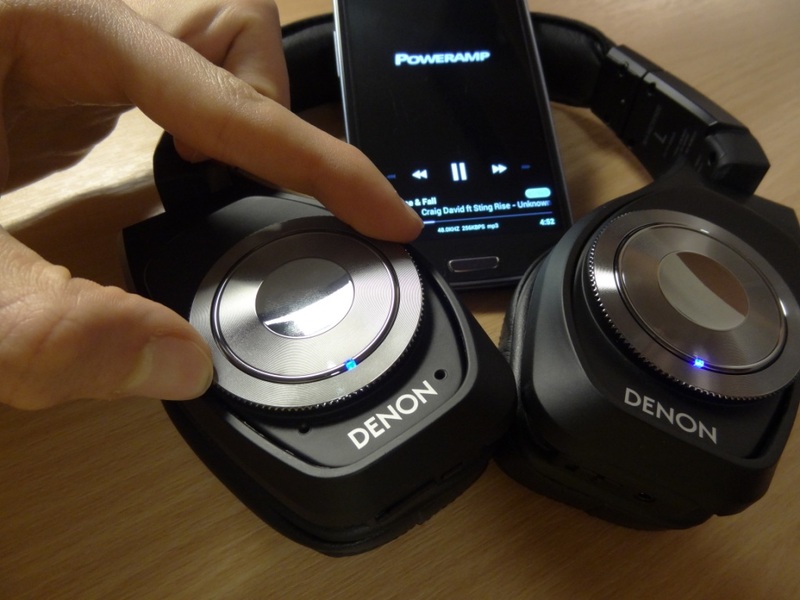 There wouldn’t be anything that Denon could do to change the Noise Cancelling trait of the headphones. It would be HARDWARE related. I own a pair of these headphones and I have been facing an issue lately. While being connected with Bluetooth i have sound only in the right earphone. The left side doesn’t seem to work. But with a wired connection both sides work fine. Not sure, other than it’s a hardware fault that needs to be fixed through a warranty repair, sorry!